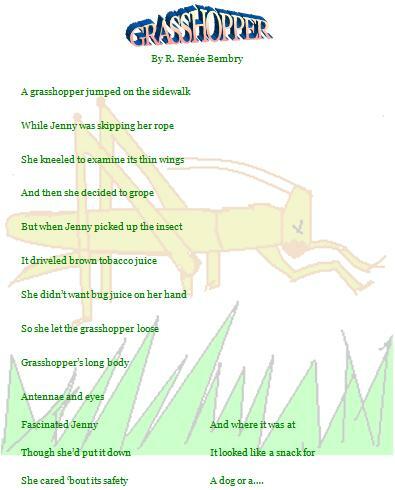 R. Renée Bembry Theme-Story Poems are randomly added to this page. The poems show how the author interprets Theme-Stories in poetic form. Some poems require purchase in order to see the complete poems. Purchase these poems as plain text in email or embedded in Poetry Pages. Remember, at MyStoriesAndPoems.com, you choose the poems...and their unique Designer Pages. Order Grasshopper Designer Poetry Page here. 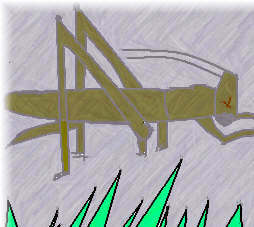 If you're just getting started, begin these poetry lessons with Theme-Story 1 - Grasshopper. Already completed Theme-Story 1 or just want to peek ahead?? Jump to Theme-Story 2 - Because I Came To School Hungry. Eager beavers feel free to jump to Theme-Story 3 - One Pizza Slice Left. If you need help understanding how this site works, email SllyMommy@MyStoriesAndPoems.com. Birthday Barbie doll wears pink gown and pink tiara crown. Matching crown included for birthday girl. 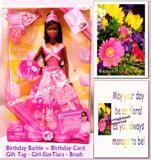 This Barbie doll comes with Happy Birthday card that is colorful and flowery, by MyStoriesAndPoems.com. Happy Birthday Gift Tag is attached to box with soft pink ribbon. Brush for Barbie included.